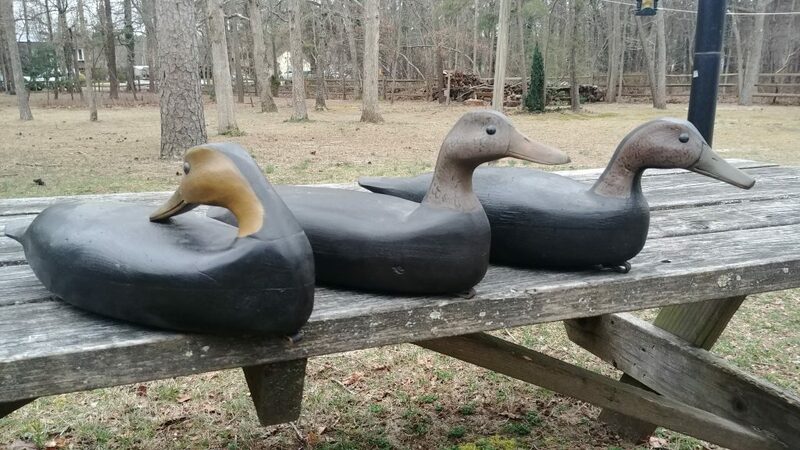 Special to The Sun: Pictured are a few hand-carved decoy ducks made by the NJ Decoy Association carver of the year, and Williamstown resident, Darin Midgette. Hobbies – everybody has one. Whether it’s going to the gym, playing guitar or working on a truck, everybody has something they like to do in their spare time. 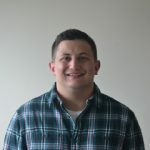 In the case of Williamstown’s Darin Midgette, he likes carving wooden decoy ducks and shore birds. Midgette has been a carver for roughly 30 years. He started carving after attending an antique fishing and tackle show in Tuckerton. As a carver, Midgette is involved with the New Jersey Decoy Collectors Association, a club dedicated to those who carve and collect decoy birds. He said there are close to 200 members in the club. For his efforts and excellence in carving, he was nominated by a committee for the title of carver of the year. Midgette will be honored at the 27th Annual New Jersey Decoy Collectors Association Decoy, Art and Hunting Collectibles Show on April 6 at the Seaview Hotel and Golf Club in Galloway. Walking the line between carving being a hobby and work is something Midgette prides himself on. He said he feels at peace while carving, noting he enjoys the sense of fulfillment when he’s finished. When carving, Midgette said he will look over a piece of wood and find which way the grain is going to help him decide what he wants to carve, whether it is a blue heron, shore bird or black duck. For the first and biggest cuts he will use a bandsaw. From there, Midgette said he uses knives and chisels to work the finer details. When he’s finished, he paints his decoys with acrylic paint. He starts and finishes roughly one bird per week. Midgette said he won’t start another decoy until he finishes the one he started. While Midgette may sell some decoys, it isn’t out of the ordinary for him to keep as many as he sells. Carving decoy ducks is just one aspect of Midgette’s life. He spends the rest of his time outdoors as well, claiming when he’s not in the garage he’s on the lake kayak fishing. He said he grew up hunting and fishing with his family.